The USA International Harp Competition (USAIHC) is a triennial performance competition held at Indiana University’s Jacobs School of Music in Bloomington, Indiana that recognizes the accomplishments and fosters the careers of gifted young harpists worldwide. 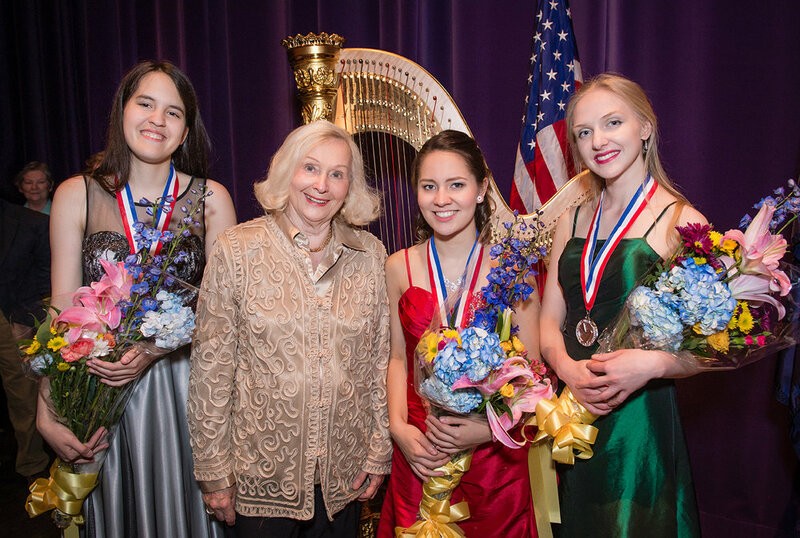 Founded in 1989 by Susann McDonald, world-renowned harpist and Distinguished Professor of Music at Indiana University, the USA International Harp Competition is open to harpists of all nationalities between the ages of 18 and 32. The USAIHC performance competition is paired with a globally recognized triennial Composition Contest producing myriad new works for the harp. The USAIHC also recognizes the need to engage its local community by presenting a biannual Concert Series of distinguished harpists and introducing hundreds of students to the harp through its educational program, Harp Start. Spanning a wide diversity of elements, the USA International Harp Competition offers Inspiration, Appreciation, and Excellence in everything it accomplishes. Help Keep the International Harp Spirit Alive! Please consider making a financial gift to the USA International Harp Competition. Your gift directly helps us provide opportunities to harpists, present world-class concerts, and share the harp through the Harp Start educational program. The USA International Harp Competition, Inc. is a 501(c)(3) non-profit organization. Contributions to the USAIHC are tax deductible according to current USA laws.